I really do not understand how you can think of Cloud Computing while you are ignoring Networking. It seems to me like “learn swimming via postal coaching”. As no other author has written about the relationship of Networking and Cloud Computing, I will discuss today about Networking as well as the relationship with Cloud Computing. When the first computer came, they were very expensive. Above all peripheral devices and memory was less powerful than today’s scientific calculator and priced like a entry level datacenter today. As I have said, like datacenter, you can understand, they were almost impossible to move around. This situation made the scientists thinking, if we can connect these computers, we can centrally control the programs and data, use common data sets and may be one few of these computers can be combined to make more powerful. The first possibility to use peripheral devices together were the Switches. For example, a printer can be used on multiple computers. This principle is still used for some switches. 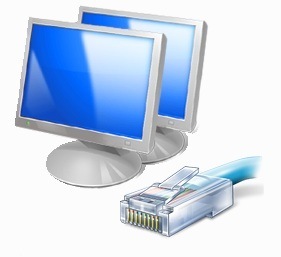 A network in its simplest form consists of two computers. They can be connected via a cable and thus able to use their resources like data storage, printers, fax machines, scanners, modems and programs. A network-capable operating system provides the users at the application level, the resources available. As I am going to discuss about Cloud Computing, I will mention only the server-based network, where the data is stored and managed on a central computer. This architecture differs from the user or user side and the supplier or service provider side. The user application programs running on their computer (client) accessing the server’s resources on the supply side. Here the resources are centrally managed, shared and made available. The connection between Networking and Cloud Computing is Virtualization. Virtualization is the enabling technology behind Cloud Computing. Basically, the way I have discussed about Networking is very simple, though it is the basic mechanism, in case of Cloud Computing the Networking is also very robust and the Networking switches are quite different from the technology we generally use. The basic of Cloud Computing is to share the resources – which was the initial idea behind Networking. Multiple layers of Networking technologies are used within a single Cloud Computing infrastructure, mostly separated in a safe way. This article on Networking Basics and Cloud Computing is written by Mr. Kanai Lal Saha, who has been regularly writing excellent articles on core computing, Virtualization and Cloud Computing. This Article Has Been Shared 5912 Times! Cite this article as: Abhishek Ghosh, "Networking Basics and Cloud Computing," in The Customize Windows, November 3, 2011, April 19, 2019, https://thecustomizewindows.com/2011/11/networking-basics-and-cloud-computing/.